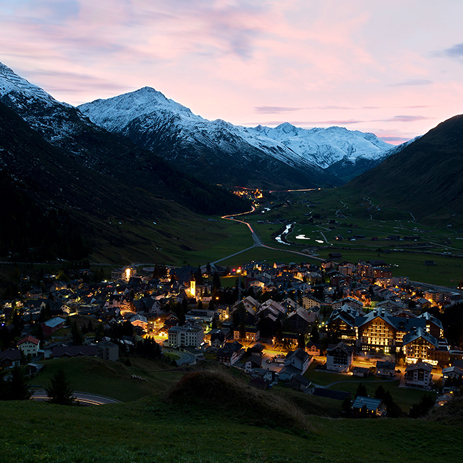 The Chedi Andermatt offers the ultimate in hotel comfort, set in the midst of an impressive natural landscape: nestled between the peaks of the Gotthard region, the superior 5-star hotel in the idyllic valley of Andermatt offers a combination of modern luxury and alpine tradition. 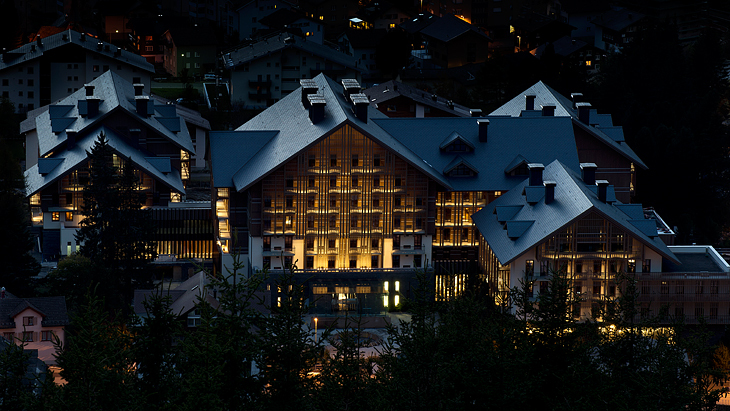 The 169 rooms, suites and residences are characterised by superior natural materials, high-quality detail and a cosy atmosphere. 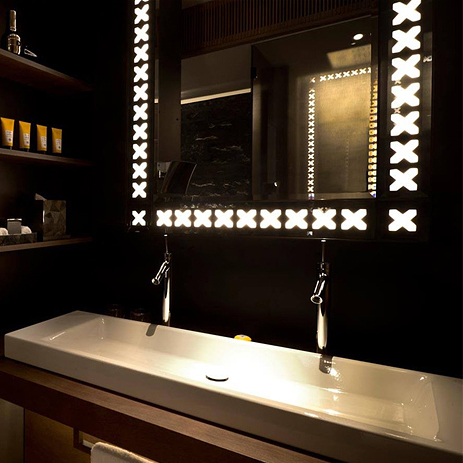 To match the Chedi's classic and timeless style, the designers selected mixers from the Axor Starck collection. Its minimalist design concept focuses on the basics, and its reduction to elementary forms has created a bathroom collection that will outlive the trends. In addition to the wash basins and bath tubs, this concept is also systematically followed through in the showers thanks to the use of Axor Starck X thermostats. 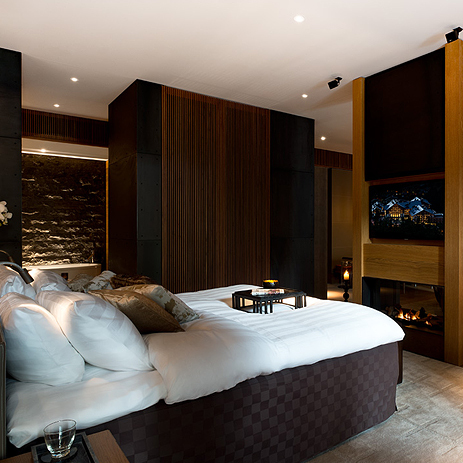 The Chedi, which is run by Asian luxury hotel group GHM, features warm wood tones and natural stone in spacious rooms and lounges with open fireplaces. Public areas such as the library, lobby and bar, and room furnishings featuring wooden panelling and high-quality fabrics all convey a homely atmosphere. 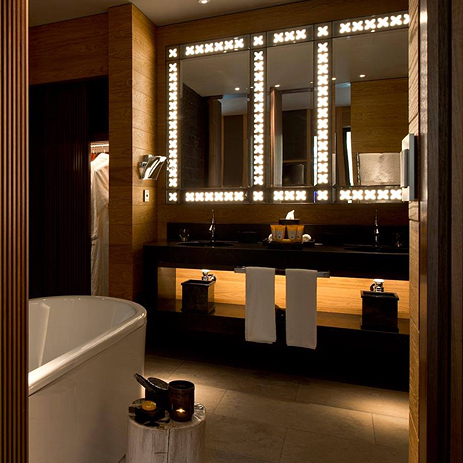 A wide range of spa and wellness facilities can be found in the hotel, whose interior also boasts modern accents. One such highlight is the glass cheese humidor in the gourmet restaurant, which, with its well-tempered specialities, establishes a link with Swiss tradition. Guests can also relax and enjoy the Alpine ambience in the indoor and outdoor pool, with a breathtaking view over the mountain tops and the green of the fir trees around the Chedi. The entire facility bears the hallmarks of famous hotel designer Jean-Michel Gathy, creative head of global design consultancy firm Denniston. 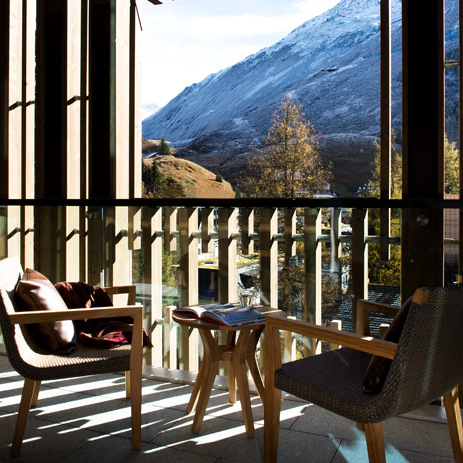 The hotel is part of the Andermatt Swiss Alps project, whose aim is to develop the tradition-steeped location and idyllic valley into an exclusive, year-round holiday destination. It was initiated by a property developer from Egypt.